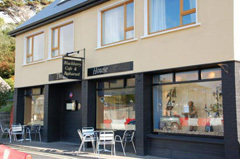 Situated in the center of the picturesque village of Leenane overlooking the beautiful Killary Harbour, the Blackberry Restaurant is the ideal venue for you and your friends to experience great cuisine… from a light lunch to a full evening meal. 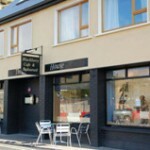 The Blackberry Restaurant prides itself on the freshness of the locally sourced produce used in its kitchens. Seafood caught fresh from nearby waters and quality Irish meat is married together with local vegetables and home baked bread creating a menu that is guaranteed to delight.